The trial of Oscar Pistorius on charges of premeditated murder will be about more than the shooting of Reeva Steenkamp. The widely publicised case against the athlete who beat the odds to become an international sensation has sparked concern over South Africa’s image, Kelly Phelps, law professor at Cape Town University, told dpa. "Pistorius is an icon of the country, a kind of representative of South Africa, a symbol of South African history and diversity." His trial is also expected to reignite domestic debate on issues such as gender violence, gun control and the power of money in court cases. It is also likely to cast high crime rates – police reported an average of 45 murders a day last year – back in the spotlight. Prosecutors are expected to call witnesses who would testify the couple had been arguing before the shooting. Pistorius fell from grace after the shooting, with sponsorships withdrawn and reports portraying a man with a foul temper, an obsession with security and a love for guns. "For us South Africans, it is impossible to watch Oscar Pistorius run without wanting to break down and cry and shout with joy," commentator Justice Malala wrote when Pistorius was arrested. Phelps says the peaceful transition from apartheid to democracy "brought South Africa much appreciation and also foreign capital, which helped our economy to recover. So South Africans are very sensitive when it comes to their image in the world." Women's rights activists have adopted Steenkamp as a figurehead for their campaign against gender violence. A woman is killed by a partner every eight hours, according to South Africa's Medical Research Council. 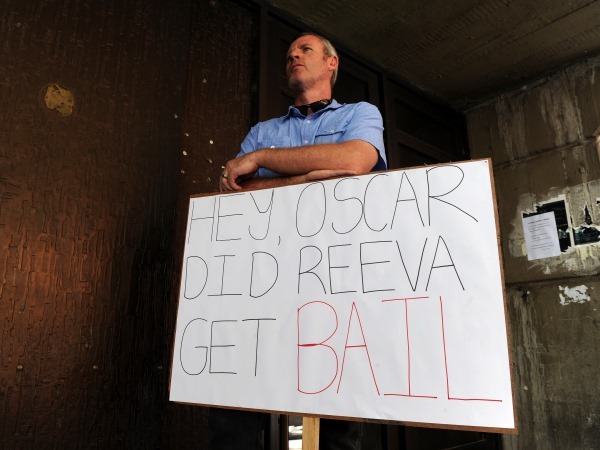 A man with a placard stands at the entrance of the Pretoria Magistrate's Court on Thursday, 21 February 2013 where paralympian Oscar Pistorius applied for bail. PHOTO: Werner Beukes/SAPA Feminists welcomed the appointment of Thokozile Masipa as the trial judge. Masipa, who became the country's second black woman judge in 1998, has handed maximum sentences to two men convicted of violence against women. The Women's League of the governing African National Congress (ANC) has organised protests at the court and called on judges to be tough on Pistorius over gender violence, a stance that Phelps sees as "deeply inappropriate." "There is no evidence of this allegation against Pistorius," the professor said. "Let us first find out what really happened." 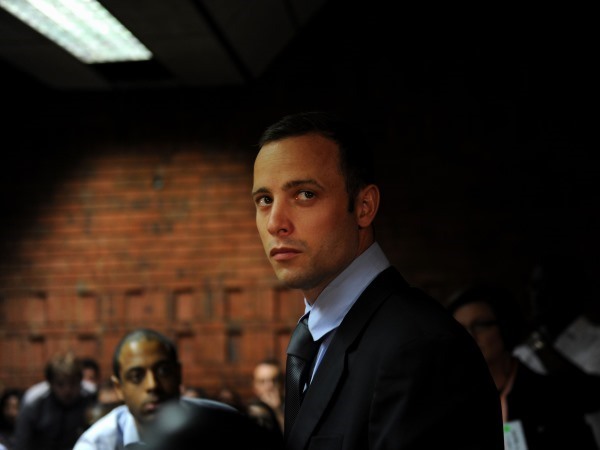 Sarah Nuttall, director of the Institute for Social and Economic Research at Johannesburg's Wits University, believes Pistorius has a chance of obtaining a mild verdict, because he can afford the best lawyers. "There is a huge divide between the rich and the poor" in the South African judicial system, she told dpa. "Rich people can pay their way out," while the poor feel so unprotected by the judiciary that they are increasingly setting up their own courts at informal settlements, Nuttall said.